As a free member benefit, SkillsUSA professional members receive the current SkillsUSA Championships Technical Standards when they have submitted a current and accurate email address with their membership details. The SkillsUSA Championships Technical Standards manual is available online to professional members as part of the paid membership. 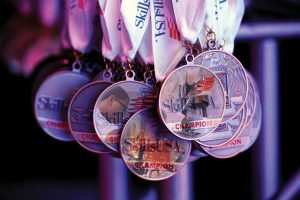 The SkillsUSA Championships Technical Standards is the official competition guide for the SkillsUSA Championships and is newly revised. It contains rules for all national events, including an overview, lists of technical skills and knowledge required, clothing requirements eligibility and equipment lists. It also lists the embedded academic skills in math, English and science. Rules for state and local events may vary from the national guidelines, but most competitive events are modeled after the national technical standards. Visit: www.skillsusa-register.org/ProfessionalBenefitsLogin to join as a professional member and get your free copy of the SkillsUSA Technical Standards manual.